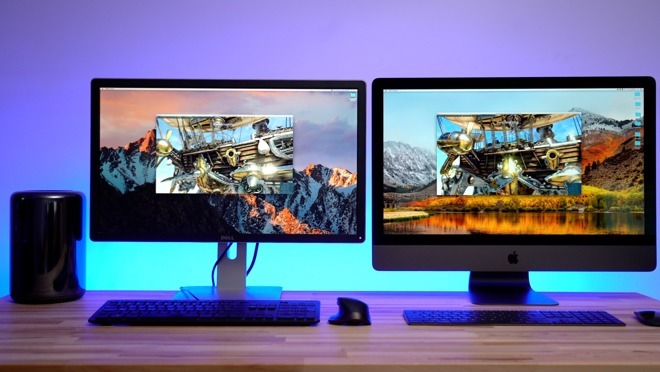 In the first part of our series, we put our $5,000 iMac Pro to the test against one of the most popular configurations of the Mac Pro, to see how much of a performance difference you can expect between the two machines. Apple's announcement of the iMac Pro renewed the company's commitment to support professionals with high-end hardware that can handle difficult tasks. The last time Apple released a pro desktop was in late 2013 with the cylindrical Mac Pro, which featured a daring redesign and a very compact footprint. 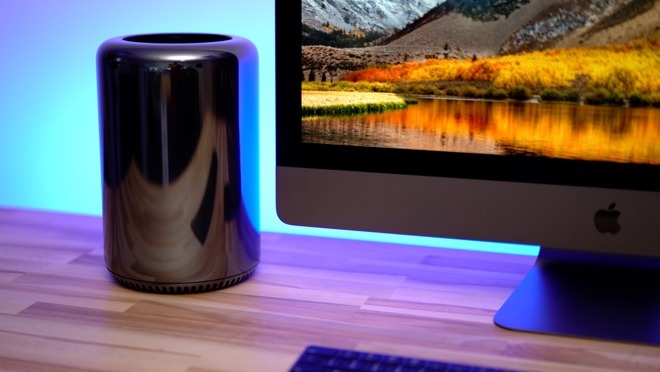 Since the launch of the latest Mac Pro, however, Apple hasn't made any changes or upgrades to the system, leaving many professionals that purchased it waiting for an update with more powerful hardware. In the spring of 2017, Phil Schiller and Craig Federighi met with the press and admitted that the lack of Mac Pro updates was due to thermal limitations, and that an all new modular Mac Pro with a standalone Pro display is set to debut in 2018, likely near the end of the year. Apple also showed off the iMac Pro, which is now available to purchase, and which features powerful high-end hardware combined with a beautiful 5K display. This may leave Mac Pro owners wondering if they should wait for a modular Mac Pro or upgrade to the iMac Pro. The all-in-one should have better performance than their current Mac Pro and will most likely be a better value than a future Mac Pro since it comes with a display, keyboard, and a mouse. The Mac Pro we're using in this comparison originally retailed for over $7,000, but with the latest price drops it comes in at just $4,999. Thats the same exact price as our iMac Pro, albeit without the display or accessories. Both computers have 8-core processors, 32GB of RAM, and 1TB of SSD storage. The Mac Pro has dual AMD D700 graphics cards, each with 6GB of memory, whereas our iMac Pro has a single AMD Vega 56 GPU with 8GB of HBM2 memory. The specs are fairly simple, but with chips that are four years newer, how much faster is the iMac Pro? Kicking off the tests, we're looking at SSD performance. The iMac Pro's NVME SSDs are about twice as fast, with write speeds reaching 3000MB/s. 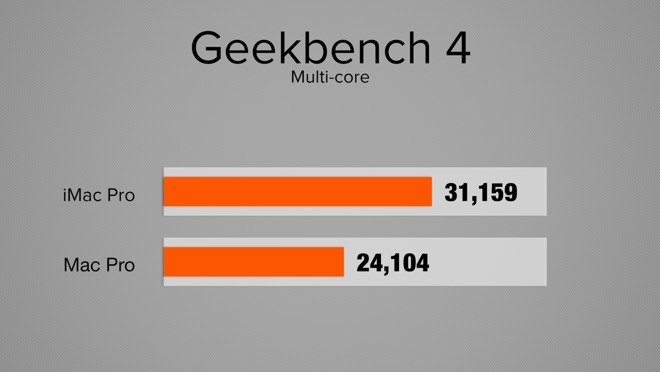 Next we used Geekbench 4, a cross platform benchmark that tests a variety of CPU tasks. 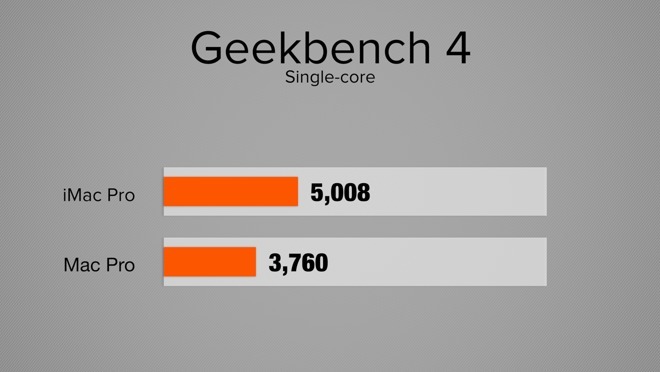 In the Multi-Core test, our iMac Pro comes in with a respectable 30 percent higher score. Looking at single cores speeds, the iMac Pro leads by about 35 percent. 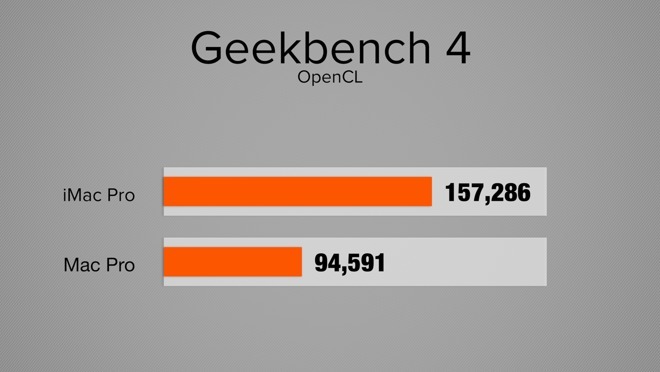 Testing OpenCL graphics performance, the Vega 56 is about 65 percent faster, but Geekbench is only testing one of the two D700 graphics cards. This means if we double the score, the Mac Pro has more raw graphics power, but we'll wait and see if our real world programs can effectively utilize both graphics cards to make a real world difference. 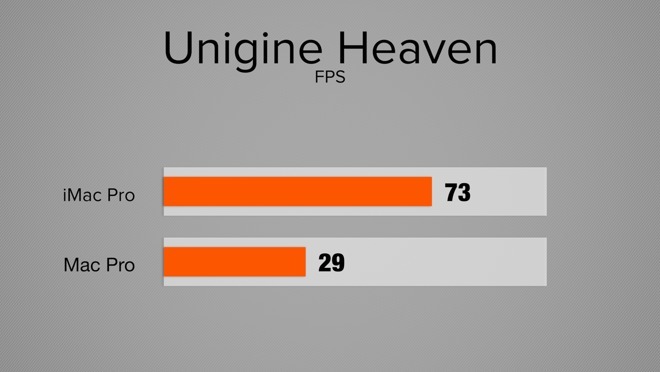 Taking another look at graphics, but this time with Unigine Heaven (a gaming performance benchmark that will max out the graphics card), we found it could only use one graphics card yet again, averaging 29 frames per second. By comparison, the iMac Pro averaged almost 73 frames per second. As far as gaming goes, dual graphics cards typically don't perform at twice the level of a single unit. 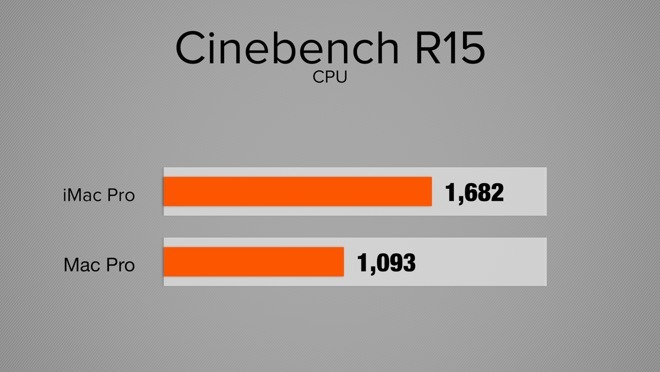 Let's finish off the benchmarks with Cinebench R15, a 3D animation benchmark that will push the 8-core processors to their limits. Our iMac Pro scored 1682, over 50 percent higher raw CPU power when we're maxing them out. In conclusion, we saw some good performance gains with the new iMac Pro, especially when pushing the machines to their limits. In part two of our series, well take a look at photo editing performance and talk about upgradability, so be sure to subscribe to our YouTube channel for details.